This article is about the town in England. For other uses, see Hungerford (disambiguation). Hungerford is a historic market town and civil parish in Berkshire, England, 8 miles (13 km) west of Newbury, 9 miles (14 km) east of Marlborough, 27 miles (43 km) northeast of Salisbury and 60 miles (97 km) west of London. The Kennet and Avon Canal passes through the town from the west alongside the River Dun, a major tributary of the River Kennet. The confluence with the Kennet is to the north of the centre whence canal and river both continue east. Amenities include schools, shops, cafés, restaurants, and facilities for the main national sports. The railway station is a minor stop on the London to Exeter (via Taunton) Line. Hungerford is a slight abbreviation and vowel shift from a Saxon name meaning "Hanging Wood Ford". The town's symbol is the estoile (a six-pointed star with wavy arms) and crescent moon. The place does not occur in the Domesday Book of 1086, but certainly existed by 1173. By 1241, it called itself a borough. 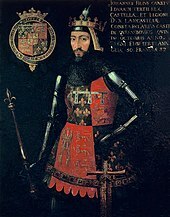 In the late 14th century, John of Gaunt was medieval lord of the manor and he granted the people the lucrative fishing rights on the River Kennet. The noble family of Walter Hungerford, 1st Baron Hungerford originated from the town (c. 1450–1450), although after three generations the title passed to Mary, Baroness Hungerford who married Sir Edward (afterwards Lord) Hasting and the family seat moved to Heytesbury, Wiltshire. During the English Civil War, the Earl of Essex and his army spent the night here in June 1644. In October of the same year, the Earl of Manchester’s cavalry were also quartered in the town. Then, in the November, the King’s forces arrived in Hungerford on their way to Abingdon. During the Glorious Revolution of 1688, William of Orange was offered the Crown of England while staying at the Bear Inn in Hungerford. The Hungerford land south of the Kennet was for the centuries, until an 18th-century widespread growth in cultivation the area, in Savernake Forest. St. Lawrence's parish church stands next to the Kennet and Avon Canal. It was rebuilt in 1814–1816 by John Pinch the elder in Gothic Revival style and refurbished again in the 1850s. In the late 19th century, two policeman were shot by poachers in Eddington. Their memorial crosses still stand where they fell. The Hungerford massacre occurred on 19 August 1987. A 27-year-old unemployed local labourer, Michael Robert Ryan, armed with several weapons including a Type 56 assault rifle and a Beretta pistol, shot and killed or fatally wounded 16 people around the town including his mother, and wounded 15 others, then killed himself in a local school after being surrounded by armed police. All of his victims were shot in the town or in nearby Savernake Forest. A report on this incident was commissioned by Home Secretary Douglas Hurd from the Chief Constable of Thames Valley Police, Colin Smith. It is one of three highly costly firearms atrocities in terms of lives since the invention of such rapid fire weapons, the other two being the Dunblane massacre and Cumbria shootings. The massacre led to the Firearms (Amendment) Act 1988, which banned the ownership of semi-automatic centre-fire rifles and restricted the use of shotguns with a magazine capacity of more than two rounds. The Hungerford Report had demonstrated that Ryan's collection of weapons was legally licensed. Hungerford is a civil parish, covering the town of Hungerford and a surrounding rural area, including the small village of Hungerford Newtown. The parish shares boundaries with the Berkshire parishes of Lambourn, East Garston, Great Shefford, Kintbury and Inkpen, and with the Wiltshire parishes of Shalbourne, Froxfield, Ramsbury and Chilton Foliat. Parish council responsibilities are undertaken by Hungerford Town Council, which consists of fifteen volunteer councillors and committee members, supported by a full-time clerk. The mayor is elected from amongst their numbers. The parish forms part of the district administered by the unitary authority of West Berkshire, and local government responsibilities are shared between the town council and unitary authority. Hungerford is part of the Newbury parliamentary constituency. Its MP is the Conservative Richard Benyon, son of Sir William Benyon of Englefield House. He has represented the two towns since 2005. Hungerford is on the River Dun. It is the westernmost town in Berkshire, on the border with Wiltshire. It is in the North Wessex Downs Area of Outstanding Natural Beauty. The highest point in the entire South East England region is the 297 m (974 ft) summit of Walbury Hill, centred 4 miles (7 km) from the town centre. The Kennet and Avon Canal separates Hungerford from what might be described as the town's only suburb, the hamlet of Eddington. The town has as its western border a county divide which also marks the border of South East and South West England regions; it is 68 miles (109 km) west of central London and 55 miles (88 km) east of Bristol on the A4 road. It is almost equidistant from the towns of Newbury and Marlborough, and lies 2.5 miles (4 km) south of junction 14 of the M4 motorway. Hungerford has a site of Special Scientific Interest (SSSI) on the western edge of the town, called Freeman's Marsh. The parish was divided into four tithings: Hungerford or Town, Sanden Fee, Eddington with Hidden and Newtown and Charnham Street. North and South Standen and Charnham Street were officially detached parts of Wiltshire until transferred to Berkshire in 1895. Leverton and Calcot were transferred to Hungerford parish from Chilton Foliat in Wiltshire in 1895. Towns: Newbury, Marlborough, Lambourn, Wantage, Swindon, Reading. Villages: Chilton Foliat, Great Shefford, Kintbury, Little Bedwyn, Froxfield, Ramsbury, Shalbourne, Stockcross, Ham, Inkpen, Aldbourne, Burbage, Hungerford Newtown. Places of interest: Crofton Pumping Station, Wilton Windmill, Littlecote House, Freeman's Marsh, Walbury Hill. Hungerford is situated on several transport routes, of both historic and current importance, including the M4 motorway (junction 14), the Old Bath Road (A4), and the Kennet and Avon Canal (opened 1811). It also has a railway station on the Reading to Taunton line; a reasonable rail service to Newbury, Reading and London means that the Hungerford has developed into something of a dormitory town which has been slowly expanding since the 1980s. Many residents commute to nearby towns such as Newbury, Swindon, Marlborough, Thatcham and Reading. Hungerford has a cricket team that played against the full English professional team in 1852, 1853 and 1854, a football team, Hungerford Town F.C., that plays at the Bulpit Lane ground, a rugby team, Hungerford RFC. and a Netball Club. Hungerford Archers, a longbow archery club, uses the sports field of the John O'Gaunt School as its shooting ground. Hungerford Hares running club was established in 2007. Hungerford is the only place in the country to have continuously celebrated Hocktide or Tutti Day (the second Tuesday after Easter). Today it marks the end of the town council's financial and administrative year, but in the past it was a more general celebration associated with the town's great patron, John of Gaunt (see below). Its origins are thought lie in celebrations following King Alfred's expulsion of the Danes. The "Bellman" (or Town Crier) summons the Commoners of the town to the Hocktide Court held at the town hall, while two florally decorated "Tutti Men" and the "Orange Man" visit every house with commoners' rights (almost a hundred properties), accompanied by around six Tutti Girls, drawn from the local school. Originally they collected "head pennies" to ensure fishing and grazing rights. Today, they largely collect kisses from each lady of the house. In the court, the town's officers are elected for the coming year and the accounts examined. The court manages the town hall, the John of Gaunt Inn, the Common, Freemen's Marsh, and fishing rites in the Rivers Kennet and Dun. There is an old legend that "Hingwar the Dane" (i.e. Ivarr the Boneless) was drowned accidentally while crossing the Kennet here, and that the town was named after him. This stems from the probably mistaken belief that the Battle of Ethandun took place at Eddington in Berkshire rather than Edington, Wiltshire or Edington, Somerset. Hungerford is one of two places which arguably meet the criteria for Kennetbridge in Thomas Hardy's novel Jude the Obscure, being "a thriving town not more than a dozen miles south of Marygreen" (Fawley) and is between Melchester (Salisbury) and Christminster (Oxford). The main road (A338) from Oxford to Salisbury runs through Hungerford. The other contender is larger Newbury. Ivarr the Boneless, Danish Viking invader. Edmund Roche, 5th Baron Fermoy, maternal uncle of Lady Diana, Princess of Wales. He died in Hungerford in 1984. ^ "Election Maps". Ordnance Survey. Retrieved 27 February 2008. ^ "Magic Map Application". Magic.defra.gov.uk. Retrieved 19 March 2017. ^ a b Hungerford in West Berkshire – Sports. Hungerford.uk.net. Retrieved on 17 July 2013. ^ Boulton, Bob. (29 April 2013) Hungerford RFC. Pitchero.com. Retrieved on 17 July 2013. ^ . Hungerfordhares.co.uk Retrieved on 8 September 2017. ^ Radio Birmingham interview with Munro, 11 May 1972, transcribed in part in Towers, Alan (July – August 1972). "Birmingham: Nicholas Munro". Studio International. 184 (946): 18. This page was last edited on 4 March 2019, at 04:09 (UTC).